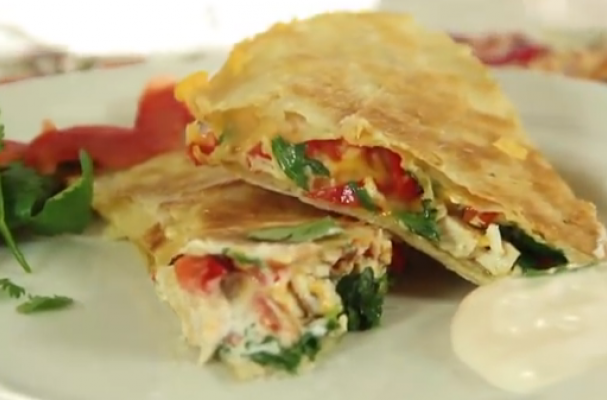 Chicken quesadillas are one of these easiest Mexican meal you'll ever make. This quesadilla is flavorful and delicious with bell peppers, onions, and cilantro. Serve this meal with sour cream and guacamole on the side.